Now, don't get me wrong, I LOVE flower centerpieces. But what do you do when you are allergic to flowers? Or you want to do something unique for your centerpieces? Well, I have a few ideas on how to create a centerpiece WITHOUT using flowers. 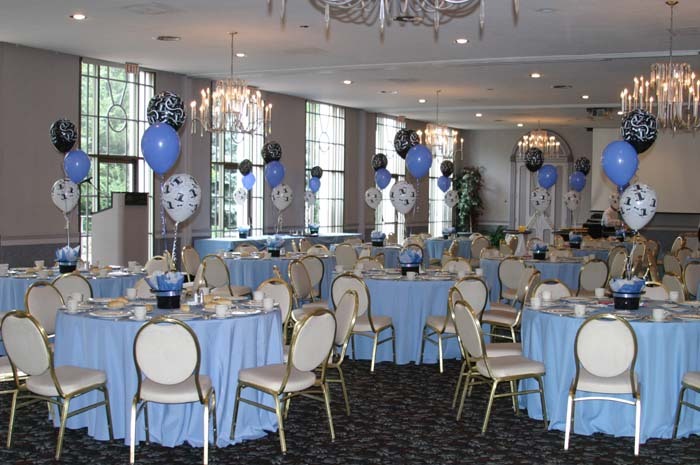 Balloons: Balloon centerpieces are very popular. 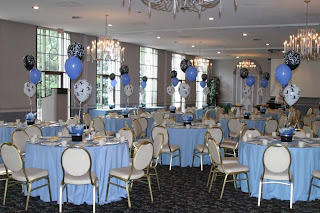 You obviously can not use fragile normal balloons as centerpieces, instead helium balloons are used. One has a chance to make full use of creativity here, you can arrange the balloons the way you want. Like for example, you can tie tiny baskets filled with chocolates to a balloon and then tie the balloon to sticks. You can even stick balloon strings to a glass vase. Making an arc of balloons is also a unique idea! Choosing the right colored balloons is also important. If it is a beach wedding, choose blue balloon, red and pink which are the hit colors. Always remember to choose balloons of different colors, preferably two colors. Also make sure that your tablecloth complements the balloon color. 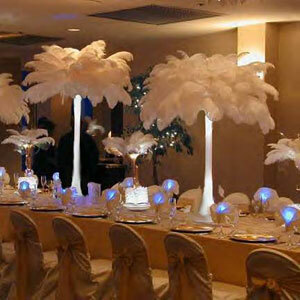 Feathers: Feathers are a great way to wow your guests when they walk into your reception. You can use feathers that match your color scheme or you can just use white ones to keep it simple. The best way to use feathers is to put them into an Eiffel tower vase (like the one above). Water Centerpieces: If the wedding is in the evening, water centerpieces are the best option for you. 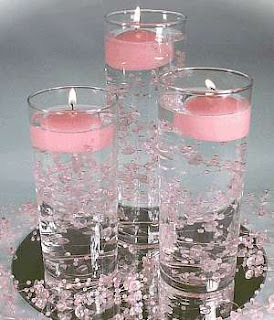 You can add colorful candles to the water, you will find specially designed water candles in the market. Besides candles, a uncommon water centerpiece is the fish tank! If you have a buffet system and only big table, this is a perfect idea for you. A small aquarium with colorful fishes swimming two and fro is a pretty site. You can make use of fake fish centerpieces if you have to put them on each table. 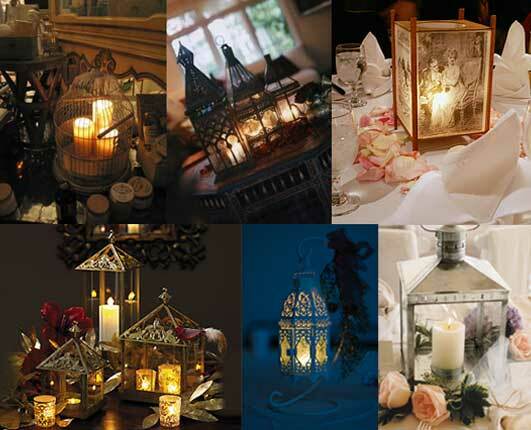 Lanterns: There are loads of lamps available in the market that can be used as wedding centerpieces. You can choose any one depending on your choice, like for example there are inexpensive Japanese lanterns which give a festive look, then there are glass lanterns too which give a classy look. If you want a complete unique lantern, go for cup or vintage lanterns. Ghost leaf lanterns and gazebo lanterns are another type that can be used to increase the beauty of your wedding. You can add floating candles to the lanterns to make it a wedding reception centerpiece, provided it is in the evening. Fruit: One of the biggest trends for 2011 is using fruit as your centerpiece. Fruit comes in a variety of colors and shapes. You can put it into a vase or your can just set in on a plate. You can use a single piece of fruit or you can use multiples. You can use it whole or slice it into halves or quarters. You can even mix and match them. Leaves: If your wedding is in fall, what can be a better centerpiece idea than foliage leaves! Leaves give a classic and nostalgic look to the wedding. 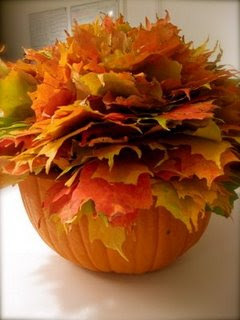 Maple leaves are obviously the favorite, however you can add your creativity and make use of different kinds of leaves. You can spread the leaves around a floating candle centerpiece or fill a tall broad glass with leaves and place them on the table. Food: Yes, we said food. You can use food as your centerpiece. 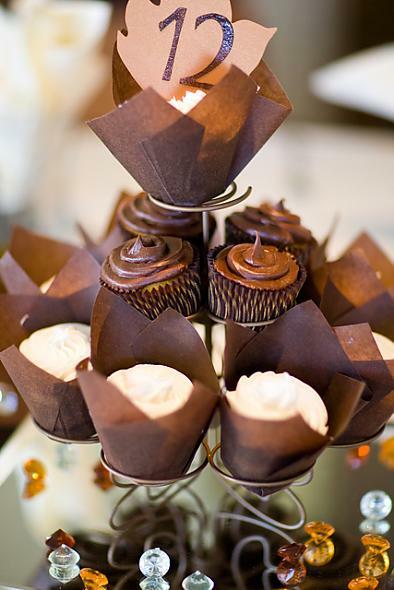 Instead of purchasing a 4-layer cake, have your baker create a few individual cakes or cupcakes. Use the small cakes/cupcakes as your centerpieces. That way people can help themselves and you don't have any centerpieces to take down at the end of the night. Or order something from Edible Arrangements. This can take the place of h'orderves during your cocktail hour. This is very useful information on these non-flower centrepiece ideas. Couple of weeks ago, I had ordered flowers for decorating venue of my brother’s wedding anniversary through a florist who can deliver Flowers NYC. 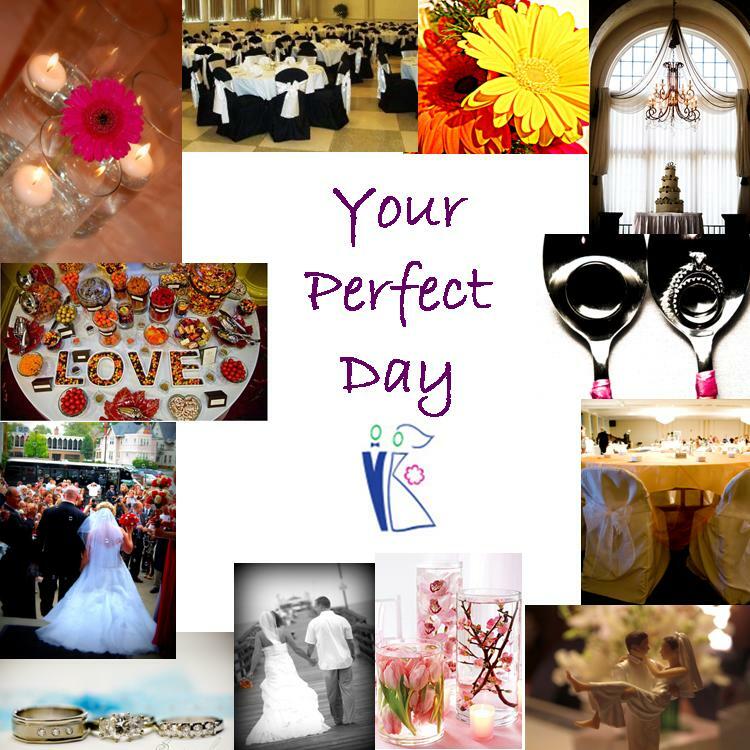 They delivered beautiful flowers and decorated venue in nice way. We had good time.